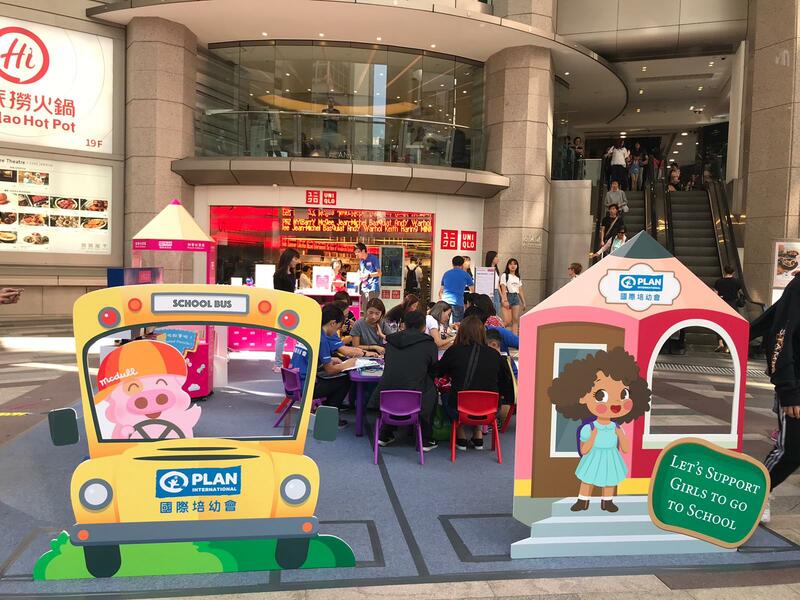 To celebrate the United Nations’ International Day of the Girl Child on 11 Oct, Plan International Hong Kong holds the 6th Donate a Pencil Campaign from 11 Oct – 21 Oct. The public is invited to donate new pencils or purchase pencils on site (HK$20 per pack). The Opening Ceremony of the event was held successfully at City Walk 2 on 11 Oct. Prof. Royce Yuen, JP, Board Deputy Chairman of Plan International Hong Kong, Mr. Ralph Szeto, Board Member of Plan International Hong Kong, Dr. Kanie Siu, Chief Executive Officer of Plan International Hong Kong and other guests attended and presided over the ceremony by placing the pencil props into a light box. The “school door” on the lightbox then opened and showed a photo of girls studying in a classroom, signifying our support for girls’ education. Prof. Royce Yuen (R4), JP, Board Deputy Chairman of Plan International Hong Kong, Mr. Ralph Szeto (L2), Board Member of Plan International Hong Kong, Dr. Kanie Siu (R1), Chief Executive Officer of Plan International Hong Kong and other guests raised their right hands, signifying their support for girls’ education. Plan International calls for public support for Donate a Pencil Campaign. By donating pencils, citizens help girls to stay in school. Earlier on, Dr. Kanie Siu, Chief Executive Officer of Plan International Hong Kong visited Sangorn, one of the child brides in Cambodia. She fought for her right to education but had to bow to pressure to get married at a young age. Pencils collected this year will be sent to children in Cambodia and Hong Kong (via Silver Stationery Shop). The funds raised will be used to build a primary school and support our anti-child marriage project in Cambodia. To address the issue of child marriage and eventually put an end to it, Plan International sets up a Child Club which invites children and young people, teachers, police as well as village committees to regularly come together to discuss the impacts and solutions of dropping out and child marriage, and also to promote sexual and reproductive health education. 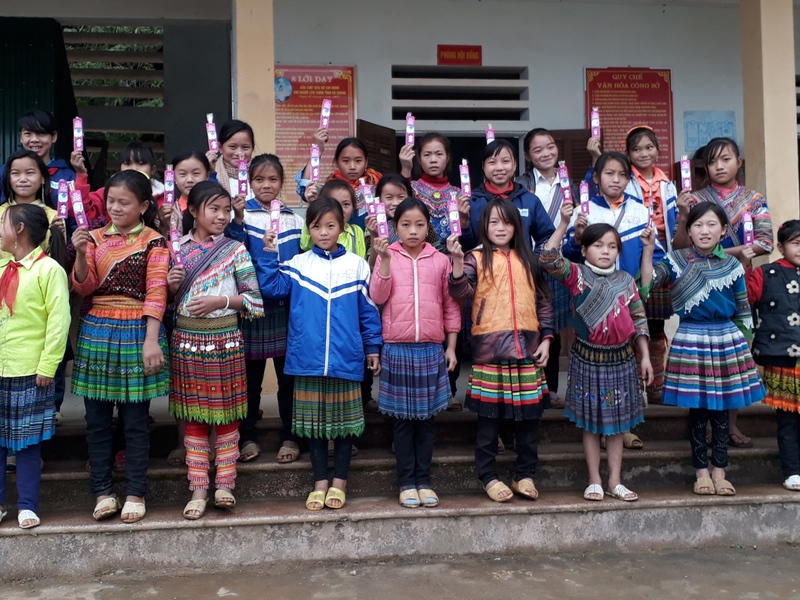 Pencils collected last year were sent to children in Vietnam. The 6th Donate a Pencil Campaign would not have been successful without the generous support from Emperor Jewellery, Angel Tong (International) Holdings Limited, Beacon Group, ECCO Shoes, Faber-Castell, venue sponsors, media sponsors, and supporting organisations.